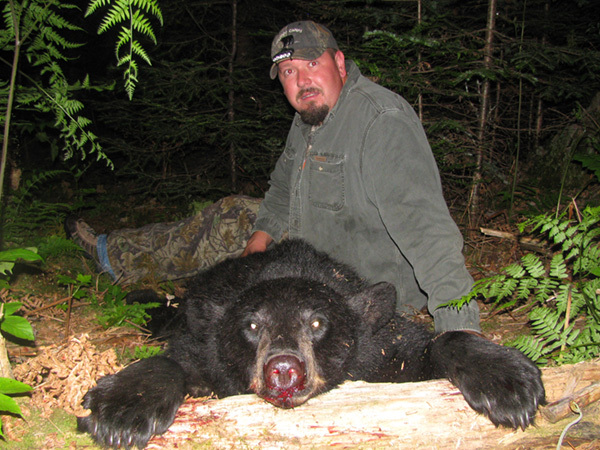 Maine has a lot to offer when it comes to bear hunting. 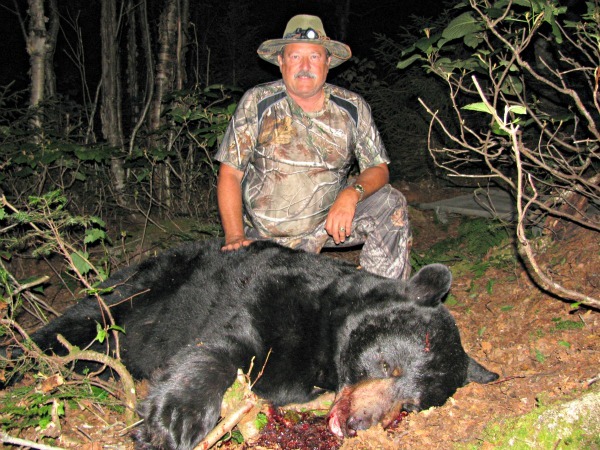 With the Maine bear population being at a record high and steadily climbing, there are great opportunities for the hunter wishing to harvest the elusive black bear. 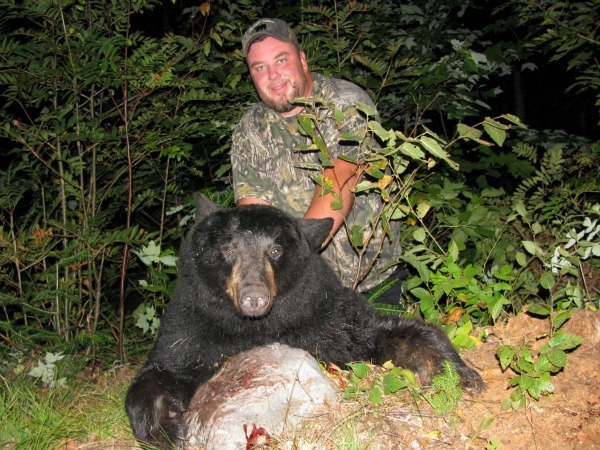 Whether you are a first timer just looking to make a clean kill on a Maine Black Bear, or a seasoned Veteran, looking for a 500 pound bruiser, the Western Mountains of Maine has what you are looking for. 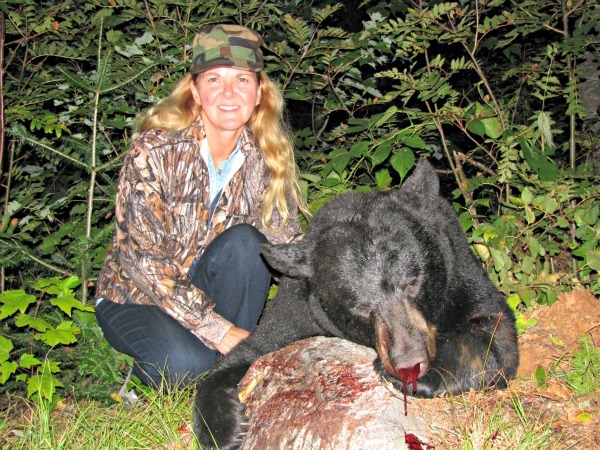 Many hunters come back year after year and can not get enough of the bear hunting in the wilderness surrounding Bulldog Camps. 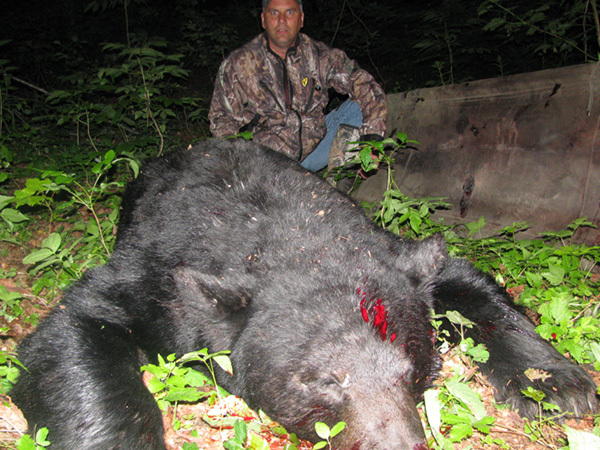 This hunt can require a lot of patience some years; however the success rate of a bear hunt over bait remains high. You will hunt from ladder stands placed over active bait. Each stand is positioned with consideration to the weapon of your choice. 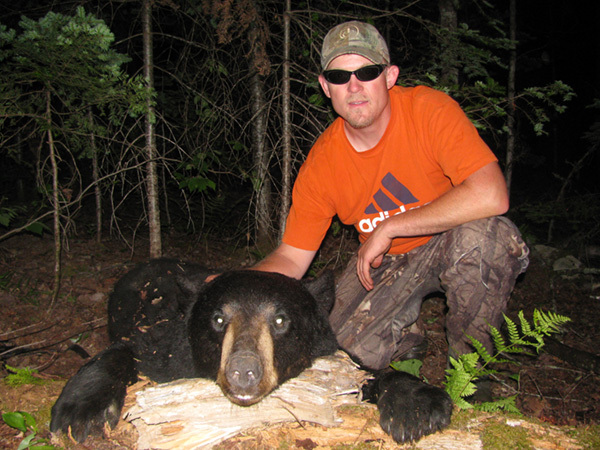 We use trail timers and game cameras to aid in the success of this hunt. 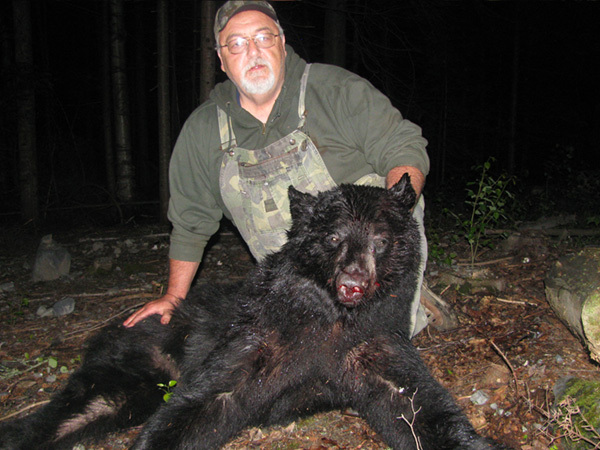 Bulldog Camps bear over bait season starts the last week in August and ends the last week in September. Darren, Can't begin to tell you what a great time our family members and myself had this year. As they say, "the third time is the charm." 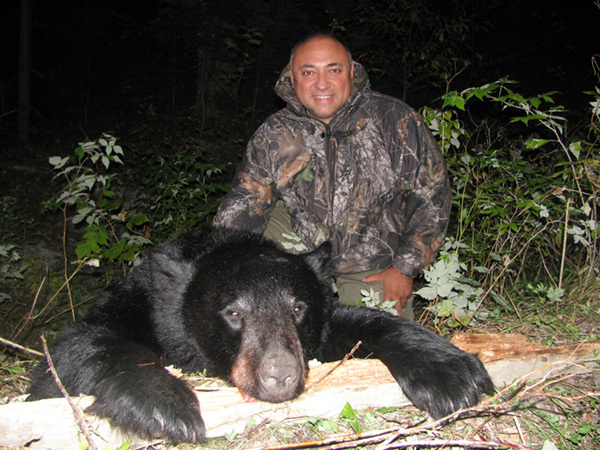 For me to shoot a 500lb trophy was very exciting. Sorry about breaking your scale and carry litter: don't grow your bears so large! I believe our family got as much excitement out of it as I did. In three trips to shoot three bears is an insight to the number of bears you have there, and I believe the numbers are growing. Once again the food was beyond description. Above great, and the prime rib was the top as always. We also enjoyed some popcorn over our campfires, thanks for the "bonfire." The beautiful, peaceful lake setting was as enjoyable was always. I didn't realize you had so many 4-wheeler trails. They seem to go on forever. We were fortunate to see many moose on our excursions along with some great views of Maine. 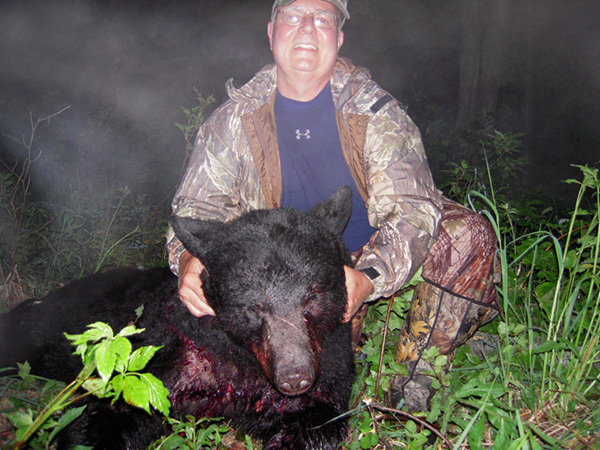 I am looking forward to next fall and another bear trip; will put you at the top of the list for anyone wishing to hunt bear, relax and enjoy good food. Thanks to you, Sierra and the rest of your staff. God Bless. 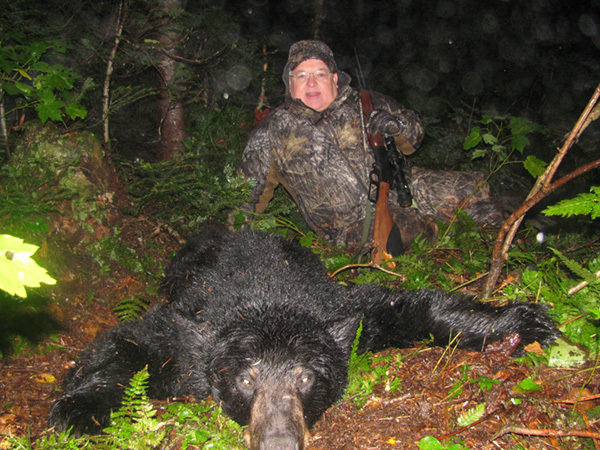 I have enjoyed bear hunting with Bulldog Camps for the last two years. 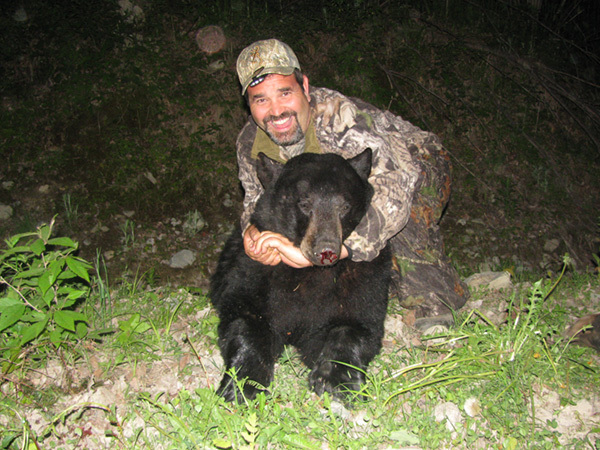 Darren goes the extra mile in helping his hunters bag a bear. 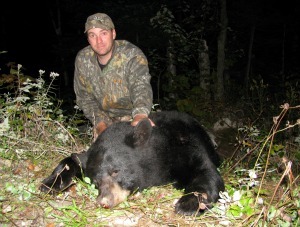 The hunt area around Enchanted Pond is beautiful wilderness, with a very a good population of mature black bears. The cabins are clean and cozy that is provided for the hunter's use. I feel like the Savage's have become more like family to me than guides. I would recommend their services to anyone for a good time.